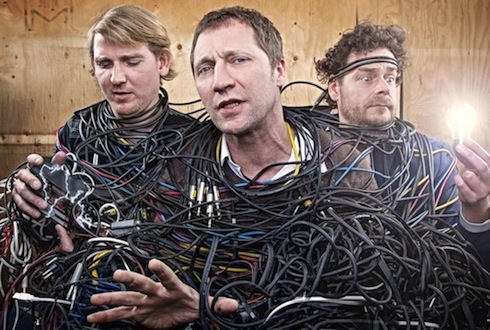 On the heels of their killer album Electric Hustle, Kraak & Smaak release the second in an occasional series of dancefloor slayers neatly entitled Kraak Beats. Having already released a classy pair of laid back house numbers on KB Vol. 1, the boys follow up with two understated gems, “Runnin” and “This Feeling”, plus bonus track “BPLB”, which they are giving away as a free download on their SoundCloud. Kraak Beats Vol 2 will be released via Jalapeño Records on March 26th exclusively on Beatport, with a global release on April 9th for all other outlets. In the meantime, you will be glad to know that the song “Runnin” is streaming right here. If you dig the three Dutchmen’s funky sound, then here is a little bonus for you. Check out the shiny remix K&S did for UK-based duo Smoove & Turrell’s hit “In Deep” and don’t miss out on their previous single “Hold Back Love” remixed by Lovebirds.